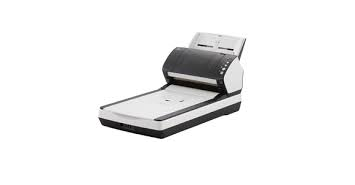 Fujitsu Document Scanner fi-7240 having features Outstanding paper feeding delivers reliable batch scanning regardless of the document condition: The new scanners allow the user to scan a wide variety of paper thicknesses (27 to 413 g/m2), as well as plastic cards with the same feeding mechanism inherited from our high-end models. .
Long page scanning supports documents with a length of up to 5,588 mm (220 in.) when the resolution is set to 200 dpi or less. Actual scanning speeds are affected by data transmission and software processing times.. Maximum capacity varies, depending upon paper weight.. The software can be downloaded from the website designated in the Setup DVD-ROM..